So this afternoon I went prom dress shopping with 11 ladies. Yes, it was as insane as it might sound. But the coolest part about it all was that these ladies weren’t shopping for their own dresses. Last week, I was talking with a few of the high school girls at First Trinity about a collection taking place in the area of prom dresses for girls who can’t afford to buy one on their own. They wanted to do something. While a couple of them had a dress to donate from last year, many of them have never been to prom and therefore had nothing to donate. This was where Project Prom Dress was born. The youth began talking with siblings and other young women they knew to gather slightly used dresses. 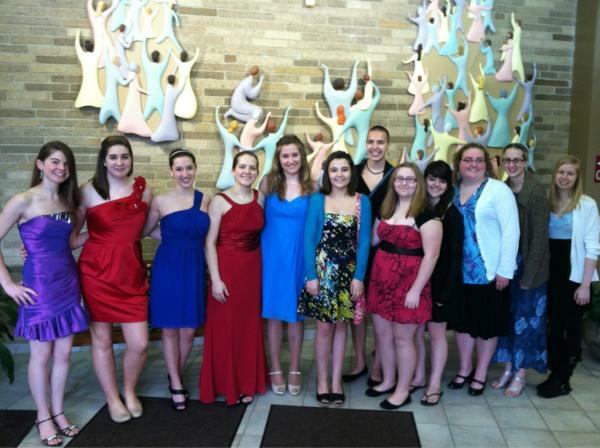 Then, today, we all wore formals to church to advertize a little more. After church we pooled our money and hit the stores to buy some new ones to donate as well. 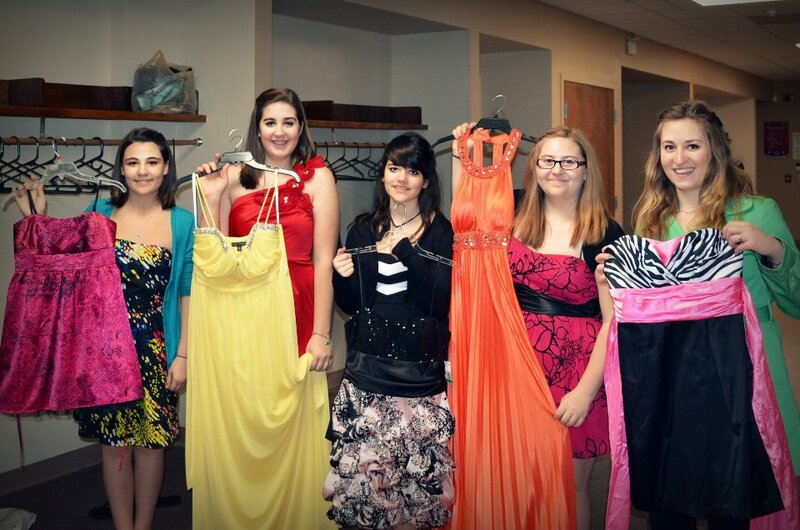 They collected $161 dollars and by hunting the sales, they were able to purchase FIVE dresses. When these young women got dressed this morning, they didn’t just put on a fancy outfit, the clothed themselves with these attributes. They gave up a Sunday afternoon and some of their own hard-earned money to make a difference in other girls’ lives. Compassion. Kindness. Humility. They didn’t just grab the first dress they could find. They spent a couple hours looking at all the stores… searching for the best deals to make their money have the most impact… they thought about what they’d want in a prom dress but only so they could make someone ELSE’s day. Gentleness. Patience. They paid attention to every little detail: the color, the length, the size, the shape to find the PERFECT dress. Love. And as we traipsed around the mall all day, their sense of accomplishment and joy grew as they worked together, talking out decisions, and landing on five beautiful dresses that will bring joy to five beautiful women they may never meet. Unity.